How could being good turn out to be so bad? Yes, I tried it. I published my short story, The Good Neighbors, on Kindle Direct Publishing (KDP). I am not a guru when it comes to formatting, so I was really nervous about getting it right. 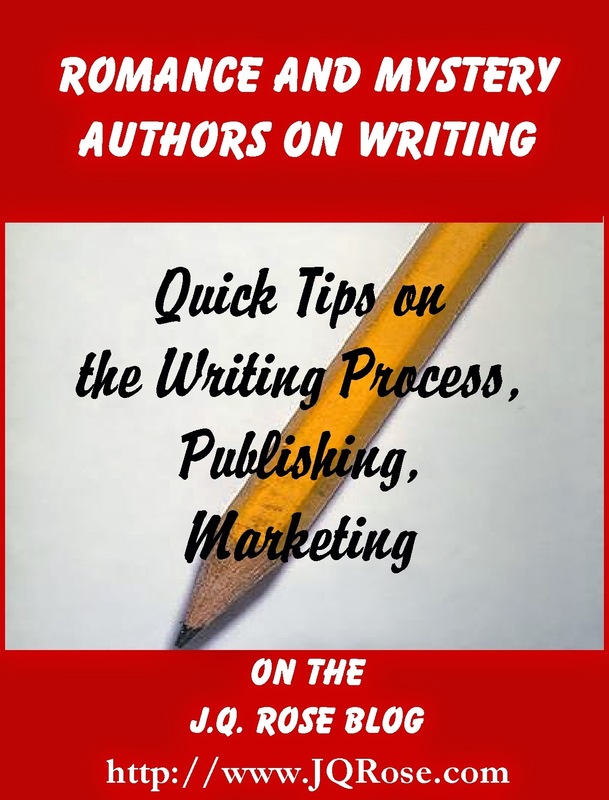 I learned a LOT about formatting from Mark Coker's FREE Guide to Publishing on Smashwords and reading amazon's information. I think the short story, 4000 words, was a good one for my first project because there were no chapter headings to worry about formatting for a Table of Contents. After I published The Good Neighbor, I discovered a ridiculous, obvious error, so I re-pubbed it after fixing the error. I uploaded the story and it was live again within hours. Designing the book cover was difficult for me. I'm not satisfied with this one…pretty amateurish, but I wanted to use the cartoonish flamingo to clue readers into the idea that it is a funny, holiday story. 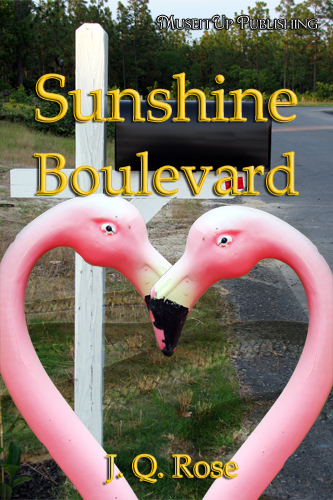 It also helps readers realize the same characters are in my mystery novella, Sunshine Boulevard, because flamingos are on the cover of the mystery e-book. Not only did I enjoy re-visiting my characters, Jim and Gloria Hart, in my mystery/horror novella, I hope The Good Neighbors will stir up interest in reading more of my books. Check out my humorous story, The Good Neighbors on amazon. While you’re there, discover Sunshine Boulevard on amazon or at the Muse It Up Publishing bookstore and major online booksellers. Have you tried self-publishing? What did you learn? Are you a reader? Do you notice who publishes the books you read? Thanks for your input. First Wednesday of the month means it's time for the Insecure Writers Support Group (IWSG) blog hop. Join me and a few 100 of my writerly friends as we talk about writer's insecurities. Mystery author Sara-Jayne Townsend offers her writing tips and advice. Sara's newly released title, Dead Cool: A Shara Summers Mystery, is second in the series of the Shara Summers Mysteries. Find it at amazon, MuseItUp Publishing, and all major online sellers. Please join us and enter to win a door prize!! They were dying to be famous. And someone was prepared to kill for it. Just downloaded my copy from Amazon UK, JQ. It looks a really fun read! In answer to your question, I nearly always check the publisher before buying a book. I don't buy self-published books any more unless I know the author, or they've been recommended. There are so many self-publishers who rush out books that are badly written or riddled with errors. I know that won't be the case with you, JQ. I'm really looking forward to reading a story with humour, set in a sunny location. Just what I need to cheer me up in a dull January! Miss Mae--I think it could be addictive too. I like the idea of having control over the book and reports at my finger tips. I just don't like being such a small fish in the big ocean of fiction books. That's scary. Planning on self pubbing a couple of non fiction books this year. I'll see how that goes. As you know, I've done lots of self-pubs. Everything I have is now in ebook and print. All the covers are mine (for better or worse). With every book, I gained a little piece of knowledge. It was also useful uploading to multiple platforms, but I eventually decided Kobi and Nook weren't worth the trouble of maintaining them separately. I now upload direct for KDP and use Smashwords for distribution elsewhere. Good to see you stepping out, Janet. Hi Marva, AND you also have some audible books too. Thanks for the info on using amazon and smashwords. I found smashwords to be very particular and I like that. They won't publish just anything. I too appreciate using them for distribution. Thanks for stopping in. A bit scary, but there are many authors doing it quite successfully, and sharing their experiences, so I can learn from them. Hi Michelle. I was surprised to discover how supportive authors are for each other. You'd think it would be cut throat competition. So many books and only so many readers. We are privileged to have such helpful folks in our corner. Happy New Year to you too!! All the work must pay off. I hope your story does well. Good luck. How totally exciting, J.Q. to have self-published a book!!! You'll have to let us all know at a later date the results of sales with self-publishing. I have thought about this myself and figured it would take a great deal of knowledge and expertise to know how to do it. Excited for you! I'll look up your book.